This is a yummy creamy coconut and strawberry ripple ice cream and it is completely vegan. 1 Place the coconut cream, coconut milk, vanilla extract, and agave syrup in a blender and blitz until smooth. 2 Then pour into a container (suitable for freezing). 3 Then put the strawberries and water in the blender and whiz until smooth. 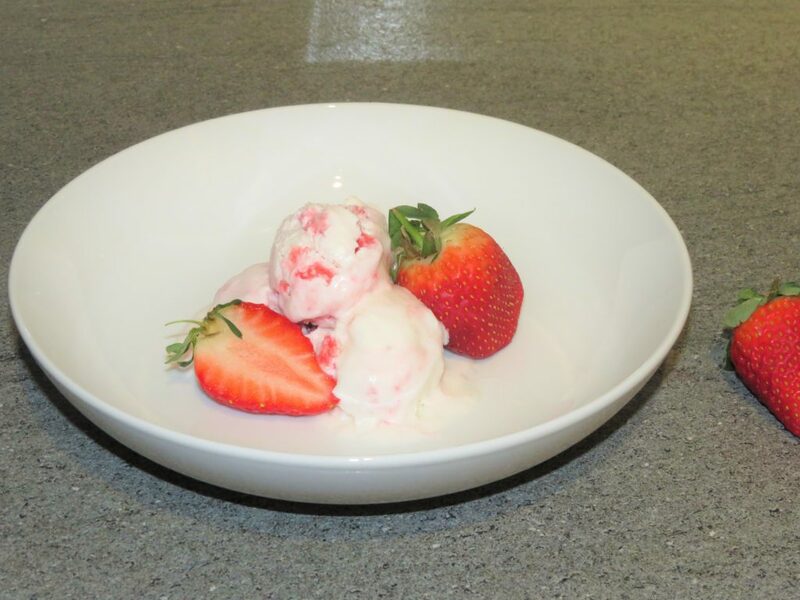 4 Pour the blitzed strawberries into the container with coconut ice cream mixture then make a ripple effect. Then place in the freezer until solid preferably overnight. 5 When solid remove from the freezer and leave to stand for 10 minutes. 6 Using and ice cream scoop, scoop out the ice cream and enjoy!